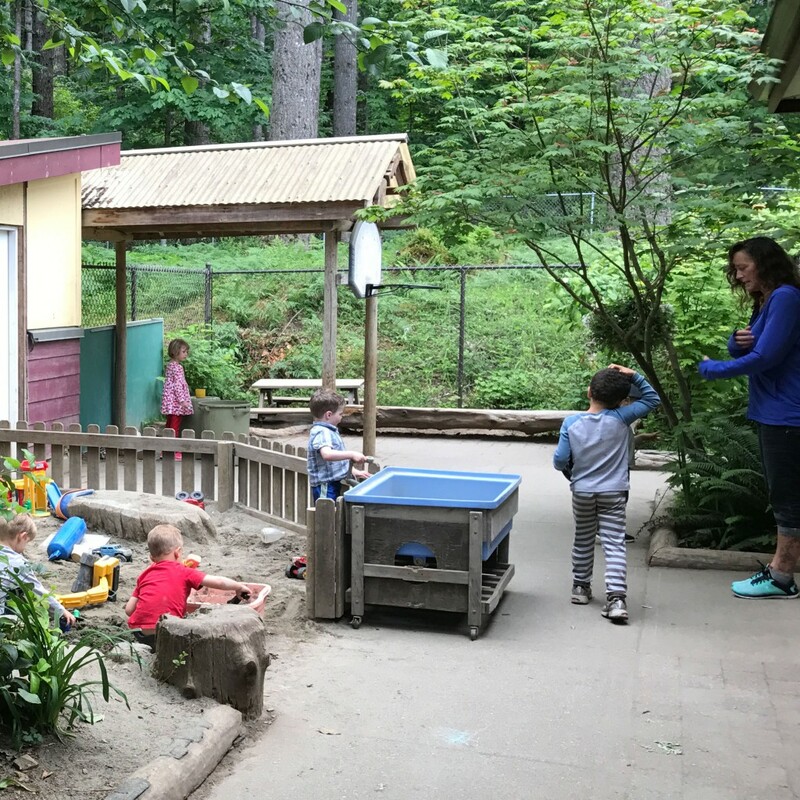 Forest Circle Child Care is located on the North Island College -Timberline Campus and serves children ages 0 – 5 years. We welcome all community families with priority for child care spaces offered to NIC students, faculty, staff, and Timberline students, teachers and staff. We are fortunate to be located in lovely surroundings and to have a state of the art facility in which to provide care for children. The building is owned and maintained by North Island College. The building is divided into three areas: infants, toddlers, and preschoolers. Outside, we have beautifully equipped play-areas which are surrounded by forest trees and nature scenery. Kyla received her Diploma in Early Childhood Education and has worked at Forest Circle since its conception in 2002. She has been the Manager at Forest Circle since 2013. Kyla is married (Doug) and is raising two wonderful children in Campbell River. She grew up in a logging camp on the North end of Vancouver Island with her older brother. Kyla loves the forest. Forest Circle Child Care provides highly qualified Childhood Educators ranging from Early Childhood Assistants and Educators to Special Needs and Infant/Toddler Educators, who combine a total of licensed child care experience of over 85 years. Monthly fees are based on daily rates of $47.00 for up to 8.5 hours, and $31.50 for morning or afternoon half days of up to 4.25 hours, and averaged over the year. Monthly fees are based on daily rates of $35.00 for up to 8.5 hours, and $25.50 for morning or afternoon half days of up to 4.25 hours, and averaged over the year. Extended day rates are also available. Discounts are offered for families with more than one child registered. If you are attending an educational institute while your child is in our care, you may be eligible for our special student rates. Please contact the Coordinator for more information.